The tinsel town of Dhanaulti is emerging as a popular winter destination because of its tranquil vistas and its proximity to Delhi and various other cities of Uttarakhand. This magical hill station is perched at an elevation of 2286 metres above sea level and offers panoramic views of the lofty Himalayas. Dhanaulti is located in the proximity of the popular hill stations of Uttarakhand such as Mussoorie, Tehri, Kanatal, and Chamba. This hilly town is enveloped by the velvety rhododendrons, deodar, and tall oak forests. Since the hill station heavy snowfall during winters, many tourists flock here in huge numbers. Dhanaulti is emerging as a popular weekend getaway from Delhi as it is easily accessible affording exquisiteness and tranquillity. Unlike its popular cousin, Mussoorie, Dhanaulti is still untouched by the maddening rush of the hill stations and maintains a quiet charm all around it. 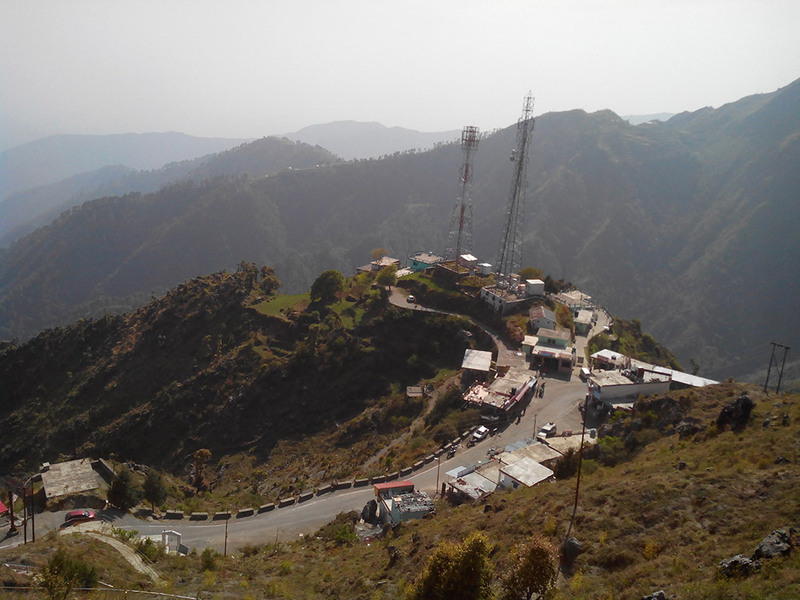 As Mussoorie has become crowded, many tourists love to retreat to Dhanaulti. Dhanaulti is unlike other hill stations as it is set in a quiet and quaint place away from the boisterous places. The pleasant weather, wooded slopes, invigorating views of the snow capped peaks of the Himalayas adds peace and tranquillity for the tourists visiting Dhanaulti. Nature Walks: The lush green region of Dhanaulti surrounded with dense deodar trees, is a perfect place to indulge in hiking. There are quite a few trails that take one through lush green forests, quaint hamlets and pristine rivulets. Camping: Due to less accommodation options at Dhanaulti, many tourists and adventurers usually prefer camping out in the open under the sky. Tents can be availed on rent or can be brought by the tourists themselves. Adventure Activities: At Eco Park, there are plenty of adventure activities that have been made available for tourists visiting Dhanaulti. Horse riding, Burma Bridge, rappelling and hiking are some of the popular activities among tourists. Shopping in Dhanaulti: You can buy hand made shawls, stoles, scarves and throws using only natural dyes and wool, eri silk and pashmina in Dhanaulti from Himalayan Weavers. Their aim is to produce high quality handloom products, popularize the use of environmentally friendly natural dyes and provide a market for craft products made in the Himalayan region. If one is looking for too many places of interest and sightseeing, Dhanaulti is not the place to be. 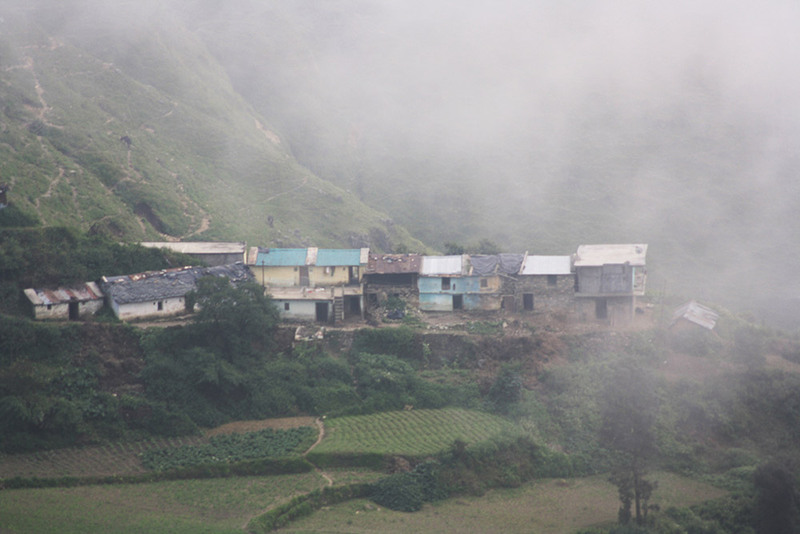 It is a scarcely populated hill station enveloped in tranquility. Please make sure you have enough fuel and money as there are no ATMs and Petrol Pump at Dhanaulti. Otherwise, one has to either travel 30kms to Chamba or 30 kms back to Mussoorie. Do check the road conditions before travelling to Dhanaulti during monsoons season. Being a secluded hill station faraway from the maddening crowd of Mussoorie, Dhanaulti has quite a few of accommodations available according to their budget. There are few luxury hotels and resorts with all amenities aswell as budget guesthouses with limited facilities at Dhanaulti. 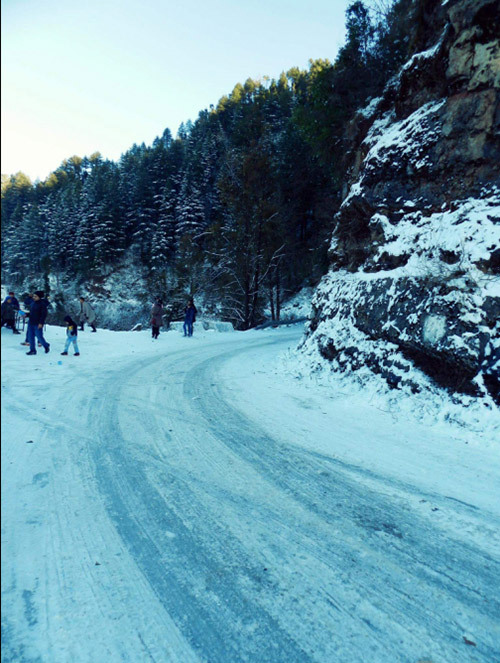 Due to its proximity to Mussoorie, Dhanaulti attracts tourists during the snowfall as well. Being a small hill station, Dhanaulti has limited eating options. There are quite a few local restaurants and roadside dhabas where North Indian cuisine is served. Some hotels and resorts have in-house restaurants and barsthat serve all kinds of delectable cuisines one wishes to enjoy. Authentic Garhwali cuisines are also served in some places. Idyllically situated on the Mussoorie-Chamba road, the hill station of Dhanaulti is a perfect place for planning a weekend getaway. Unlike others hill stations, Dhanaulti is not over-crowded and rests peacefully in the nucleus of the Himalayas. The pleasant environs and the tempting weather of Dhanaulti allure many tourists to visit this place and unveil the beauty of the Garhwal hills. 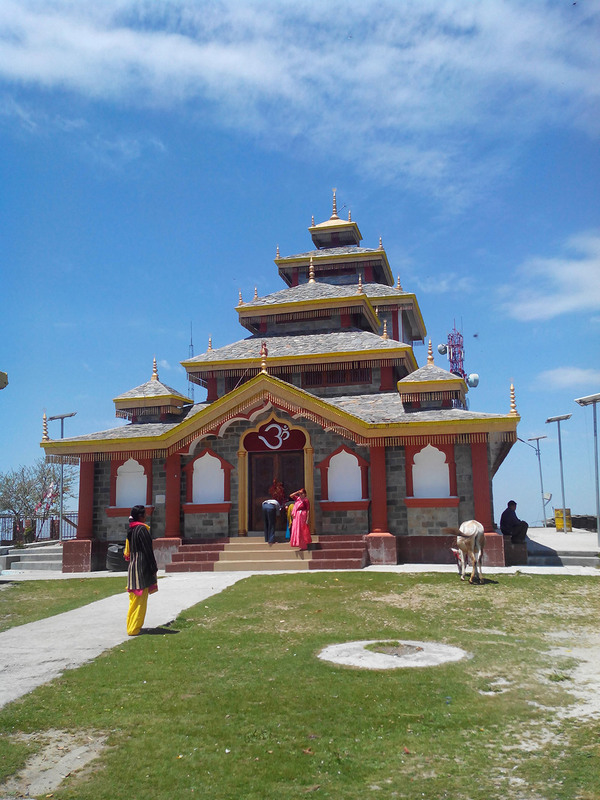 The popular tourist attractions of Dhanaulti are the Aaloo Khet and the Dhanulti Eco Park. Dhanaulti is the base point for several treks which takes you on an adventurous trekking to the benevolent Himalayas. 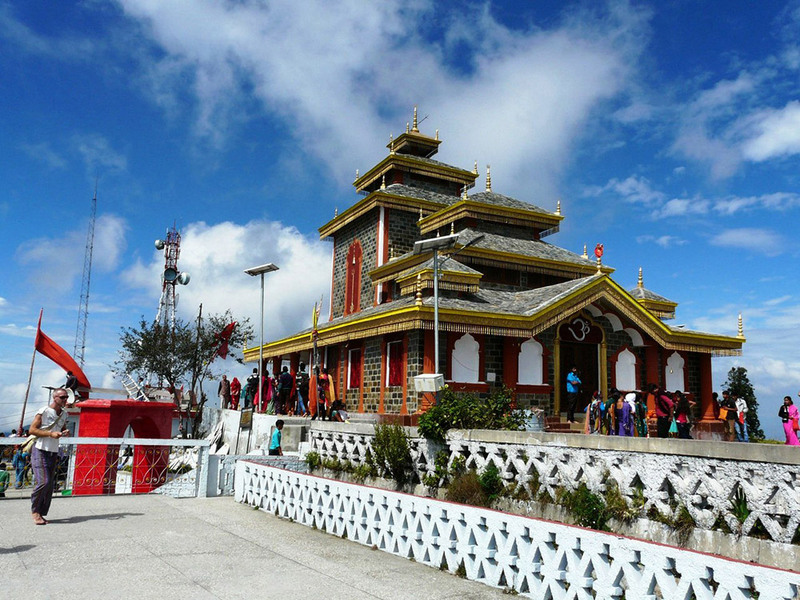 Some of the most popular treks lead to the dense snow-shrouded Himalayas of the Tehri Garhwal region and also covers places like the Surkanda Devi temple, Chandrabadni, and Kunjapuri, the sacred three Shaktipeeths of the holy Devi Darshan triangle. If you are looking for adventure then it is out there as there are several adventure zones in Dhanaulti that offers heart-throbbing adventure activities such as mountain climbing, rappelling, zip line, sky walk, and valley crossing. If you are an adventure buff then, you should hit this jackpot and leave for Dhanaulti. The best time to visit this place is between the months of March and June. Note: Dhanaulti is also written as Dhanolty, Dhanaulty, Dhanaolti and Dhanaolty. 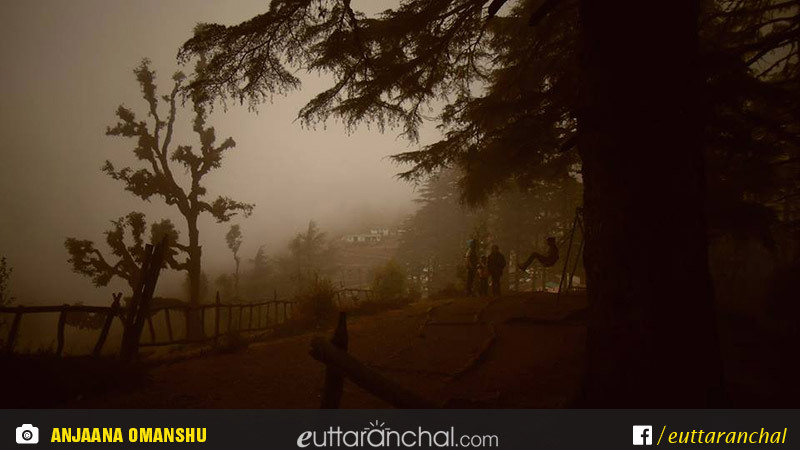 What is Dhanaulti famous for? Dhanaulti is famous among tourist as Hill Station, Weekend Getaway. Dhanaulti is recommended destination for Corporates, Couples, Family and Kids, Groups, Solo. Dhanaulti is popular destination for following activities/ interests - Camping, Christmas and New Year, Emerging Destinations, Hill Station, Weekend Getaway. Travelling to Dhanaulti in 2019? Contact us for planning your Dhanaulti tour with best travel packages of as per your requirements!